Thermal insulation is generally characterized by any measure taken to reduce the heat transfer between objects. Thermal insulation is distinguished in two major categories: internal insulation and external insulation. Thermal or external thermal insulation is called the application of an insulating system to the exterior walls of the building. Insulation systems typically consist of 7 phases of special heat insulating materials. Phase 1: Putting paste onto the wall-to-wall. Phase 3: Fixing the insulating plates with special plugs. Phase 4: Placing a base coat with adhesive properties. Phase 5: Reinforcement of the base coat with special glass mesh. Phase 6: Priming with special primer. Phase 7: Finishing coat color or white. • To protect yourself from the cold winter and the extreme heat of the summer! up to 60% energy savings !! • To save yourself from dampness! External thermal insulation protects against external moisture, rain water, indoor moisture, while preventing the growth of mold and micro-organisms! 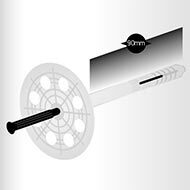 • Why thermal insulation is a drive that does not require any maintenance! • For constant energy savings! • For the constant durability of our systems in time! • Because our insulation experience starts in 1994! • Because we know the products we sell! • Because we propose 6 different top-of-the-line systems from 4 distinct Greek companies! • Because we recommend you experienced specialist crews to implement the system you choose! • Because we are next to you and willing to answer every technical question! Everything else is done by us! Vitex has created VitexTherm, a certified External Thermal Insulation Composite System (ETICS) which can be used on both old and new buildings. 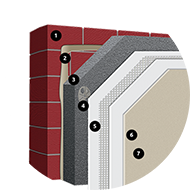 VitexTherm is a modern system for external thermal insulation and is the best choice for a quality result and construction durability. Designed to meet the most modern standards and tailored to the needs of the final consumer, it provides: Great energy savings of up to 60%. Elimination of thermal bridges. Quick return on investment in 3-6 years. 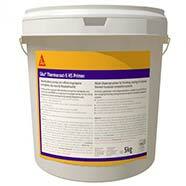 Full protection and regeneration of surfaces. ● GNK 10G: Fiber reinforced cement based mortar for bonding insulating polystyrene panels on facades of buildings. 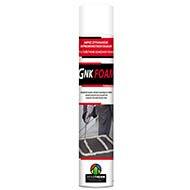 ● GNK FOAM: Polyurethane adhesive foam for bonding polystyrene insulating panels on facades of buildings. 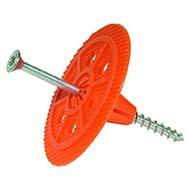 ● Impact driven plastic anchors for brick, concrete and other solid and perforated building materials with reinforced plastic pin for surface mounting of the insulating material. 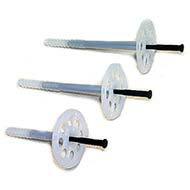 ● Impact driven metallic anchors for brick, concrete and other solid and perforated building materials with reinforced plastic pin for surface mounting of the insulating material. 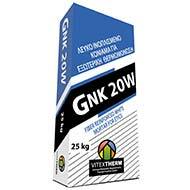 GNK 20W: Fiber reinforced white cement-based mortar. CE in accordance with EN 998-1. 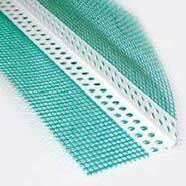 Combined with glass fiber mesh, used for covering insulation panels of expanded polystyrene. VITEXTHERM GLASS FIBER MESH: Alkali resistant glass fiber mesh 160 gr/m² to reinforce the fiber reinforced mortar. 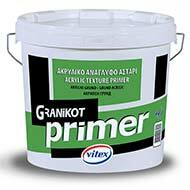 GRANIKOT PRIMER: White acrylic textured primer, ideal for interior and exterior surfaces from plaster, cement and surfaces painted with water-based paints (plastic, acrylic etc). 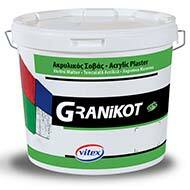 It improves the appearance, coverage, adhesion and resistance of Granikot Acrylic and SIlicone plaster on smooth and uneven surfaces. Can be colored through the Vitex Coloring System. ● GRANIKOT ACRYLIC: High quality acrylic plaster, ideal for building facades, weather resistant, with excellent protective properties against UV radiation. Highly solid with excellent adhesion and elasticity. Can be colored through the Vitex Coloring System. ● GRANIKOT SILICONE: High quality silicon-based plaster with water repellent properties, resistant to weather conditions, water repellent with high transpiration to water vapour. Therefore, it protects surfaces against mould and fungi. It is highly resistant to UV radiation and temperature. Ideal for areas with high humidity and environmental pollution. Can be colored through Vitex Coloring System. An External Thermal Insulation Composite System (ETICS) consists of specific materials with specific structure and function that are used for the thermal insulation of the external walls of buildings. 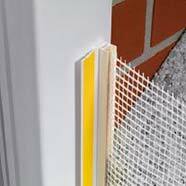 Thermo-insulation plates are fixed onto the substrate with the use of glue and special anchors, and are covered by an external coating. This coating is based on a slurry (basic coating) that is reinforced with fibreglass mesh and is completed with the final coloured coating. An ETICS provides: the most correct application of thermal insulation in construction physics terms, protection of the building exterior from all forms of moisture and free architectural and colour formulation of facades. Fiber reinforced, resin improved mortar based on white cement. 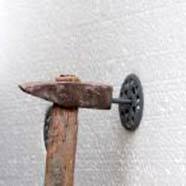 It is used as an adhesive for expanded polystyrene thermal insulating boards(EPS), stone wool (MW) and extruded polystyrene (XPS) as well as basic coating over thermal insulation with embodied fiberglass mesh reinforcement. 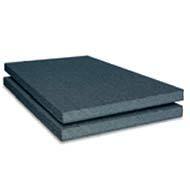 Expanded polystyrene thermal insulation boards Vimatec EPS or graphite thermal insulation boards Vimatec EPS. 03. 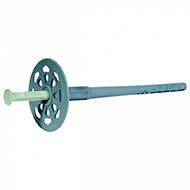 Expandable anchors for thermal insulation boards. Fiber reinforced, resin improved mortar based on grey or white cement. It is used as an adhesive for expanded polystyrene thermal insulating boards (EPS), stone wool (MW) and extruded polystyrene (XPS) as well as basic coating over thermal insulation with embodied fiberglass mesh reinforcement. White, alkali-resistant fiberglass mesh for reinforcement of basic FIXOTHERM coating, spackled onto thermo-insulation plates on External Thermal Insulation Composite Systems (ETICS). It increases the coating’s tensile strength and impact resistance. Ready to use water primer based on synthetic acrylic resins. 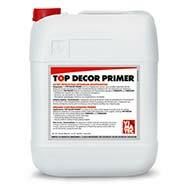 It is being applied on every porous structural surface before the application of the organic coatings TOP DECOR as well as acrylic and waterproofing paints VIMACRYL and VIMACOAT. 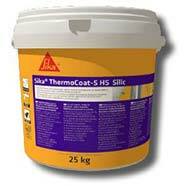 Stabilises the substrate, improves adhesion and ensures a uniform surface of the coating or dye. Ready to use decorative finishing coating based on acrylic resins. 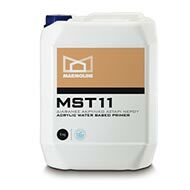 Offers high adhesion, elasticity, waterproofing and vapour permeability therefore great resistance to hydro-thermo stress despite its small application thickness. 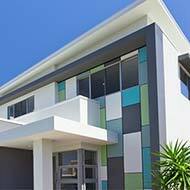 It is the ideal decorative finishing coating in external thermal insulation composite systems (ETICS). 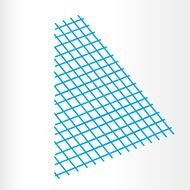 Reinforcement glass mesh is an integral part of the ETICS facade system. High quality is provided by alkali resistance and high tensile power of over 2200 N/5 cm and weight of 145 g/m2. 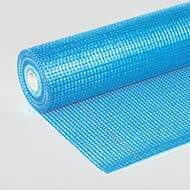 Glass mesh comes in rolls. 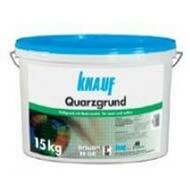 Knauf Quarzgrund is a ready-mixed bonding primer for plasters on a synthetic resin emulsion basis filled with silica sand, which is pigmented white and alkaline resistant. 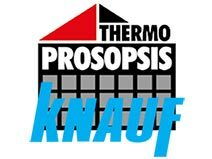 Choose the Thermoprosopsis Flex system for optimum elasticity, color finish, build speed and ease of application. In addition to the insulator, it consists of a cementitious base coat, a reinforcing mesh with special anti-alkaline protection, a quartz sand colored primer and a color-coded acrylic or silicone finish. Polystyrene thermal insulation boards EPS or graphite thermal insulation boards EPS. Siloxane-reinforced adhesive and basecoat mortar. 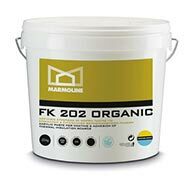 Ready-to-use organically bonded fibre and siloxane reinforced adhesive and basecoat mortar with mineral-based lightweight aggregates for high yields, intended for bonding and reinforcing the Knauf WARM WALL Basis and Energie as well as for bonding EPS insulation material boards to board materials. 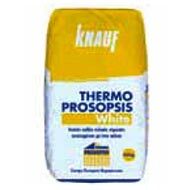 Choose the Thermoprosopsis Fine system for a smooth finish, easy care, optimum perspiration and quality paint (self-cleaning). 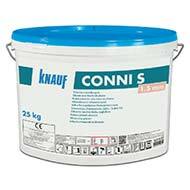 Apart from the insulator, it consists of a cementitious base coat, an anti-cushioned special reinforcing mesh and a Knauf silicone-colored cementitious finishing coat. Reinforcement glass mesh THERMOPROSOPSIS is an integral part of the ETICS facade system. High quality is provided by alkali resistance and high tensile power of over 2200 N/5 cm and weight of 145 g/m2. 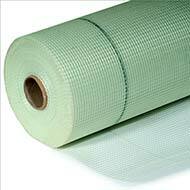 Glass mesh comes in rolls. 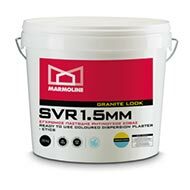 Organically bonded adhesive and basecoat mortar with lightweight aggregates. On external walls, ceilings, columns and partitions. Watery dispersion paint made of mineral filling materials, titanium dioxide, silicon additives, synthetic dispersion, water, preservatives and additives. 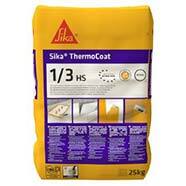 The External Thermal Insulation Composite System (ETICS) SIKA® THERMOCOAT is designed and installed in accordance with the manufacturer, design and installation instructions, deposited at IETcc. It is made up on site from these components. 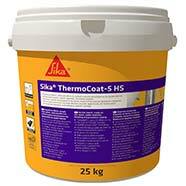 The manufacturer is ultimately responsible for the ETICS SIKA THERMOCOAT, which is a bonded system with supplementary mechanical fixings with EPS panel. This ETICS comprises the following components, which are factory produced by the manufacturer (adhesive/basecoat) and a supplier. 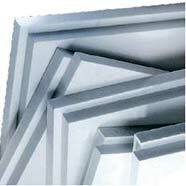 Minimum bonded surface: 40 % for EPS. 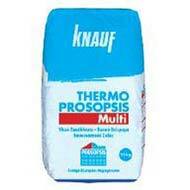 Cement based mortar in powder requiring addition and mixing with 24,0 ± 2,% water. Bonded Boards of Expanded white polystyrene (EPS 60/80/100/200). 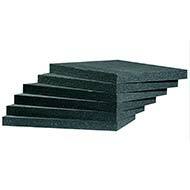 Bonded Boards of Expanded Graphite polystyrene (EPS 60/80/100/200). 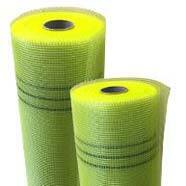 Glass fibre mesh resistant to the alkalis. Acrylic binder based painter (Primer coat). Acrylic binder based ready to use coloured paste with different size grading particles. Silicon binder based ready to use coloured paste with different size grading particles. 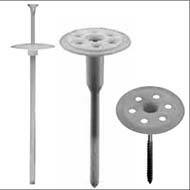 Plastic anchors (expansion element and sleeve) for insulation material with different lengths in relation with thickness of insulation board. 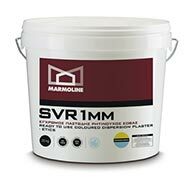 MARMOLINE MONOSIS is a complete certified external insulation system, for old and new buildings, that has a greek origin. 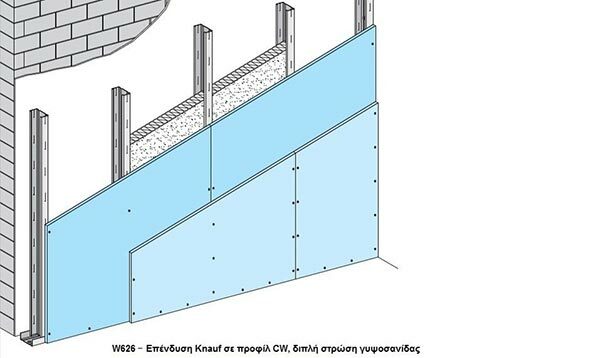 In many areas of Greece, the annual difference in temperature (min - max) on the exterior surface of the walls, is more than 60°C, therefore it is necessary to use durable building materials with good performance in such a temperature range. MARMOLINE MONOSIS responds in an excellent way to demanding weather conditions, namely cold in winter and heat in summer. Ready cementitious mortar reinforced with polymer ingredients. 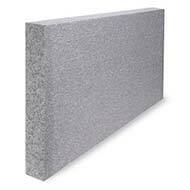 Based on Portland grey cement, aggregates of selected grading and special additives, offers strong adhesion of thermal insulation boards. 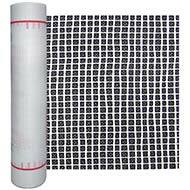 Use it for the adhesion of thermal insulation boards made of extruded or expanded polystyrene, or mineral wool, to exterior and interior surfaces of buildings, and to substrates such as concrete, bricks, plaster, stone, aerated concrete, etc. 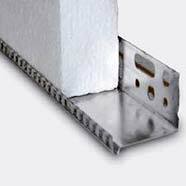 It is part of the certified MARMOLINE MONOSIS external thermal insulation composite system -ETICS. 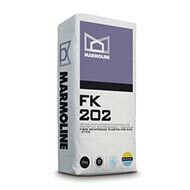 You can also use it for the preparation of thermal insulation boards, for applying decorative renders /plasters (use it combined with MARMOLINE fibreglass mesh to prevent possible cracking). Packing: Bags of 25 kg. For the application of MARMOLINE MONOSIS ENERGY SAVING SYSTEMS ETICS, the company MARMOLINE distributes thermal insulation boards of proper specifications (presented here). 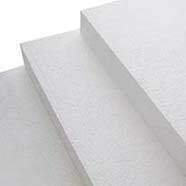 ● Expanded polystyrene (EPS) simple and graphite boards, with a thickness of up to 100mm. 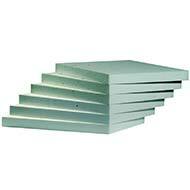 ● Extruded polystyrene boards (XPS) with a thickness of 40-300mm. 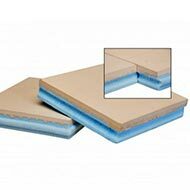 ● Mineral wool (MW) boards with a thickness of 50-200 mm. 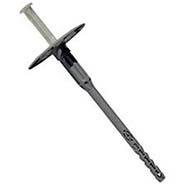 Plastic anchors (pins) meeting the requirements of ETAG 014 and bearing the required certifications. 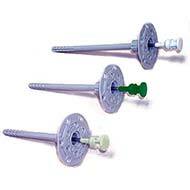 Anchors can either be fully plastic, or consist of a plastic head and a metal pin. Consumption: 6 - 8 nails/m². Consumption: 4 - 4.5 kg of dry mortar per m² reinforced with the addition of a fiberglass mesh on polystyrene or mineral wool boards. Compression strength : 20 MPa. Consumption: Approx. 3kg / m² reinforced with the addition of a fiberglass mesh on polystyrene or mineral wool boards. All recommended fiberglass meshes meet the appropriate standards and are properly certified. 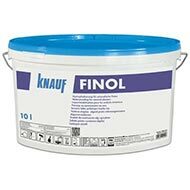 Transparent acrylic water-based primer for the preparation of surfaces before plastering or painting. 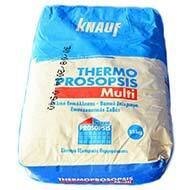 It can be used on interior and exterior absorbent surfaces. It provides better adhesion of the next coat of plaster or paint. It prevents flaking. High-tech composition, it deeply penetrates the surface of the substrate and provides better adhesion. Apply to old or new surfaces, such as plaster or stucco walls. 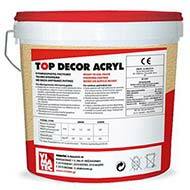 It reinforces and stabilises porous surfaces to be painted with emulsion or acrylic paint. Due to the decrease in surface absorbance, the time required for painting is reduced, and the paint coverage is increased. It is also used as a primer to the surfaces to be coated with a colored plaster, so as to reduce the absorbency of the substrate and let the colored plaster dry evenly. Ready to use, white or coloured, resinous dispersion plaster. Available in different granulometries with specially graduated aggregates of excellent quality. Depending on the desired result and granulometry, a smooth or rough final surface is obtained. Ready to use, white or coloured, silicone plaster in paste form, with maximum grain size 1.5 mm. It is used for highly resistant thin coatings, as finish coating on thermal insulation boards of ETICS systems, on old or new buildings’ surfaces. 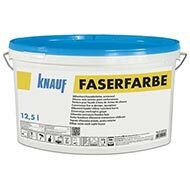 Ideal also for use on surfaces of fair-face concrete, finish-coat plasters, old painted surfaces, cement boards, plasterboards. Internal heat insulation is the most suitable solution for old homes where fast, clean and low cost can significantly improve the thermal insulation value of the building. The outer walls can be lined either with thermal insulating panels glued internally with plasterboard or with a metal frame structure where the insulating material is fastened and the plasterboard is screwed. Also, with the use of metal frame, insulating material and drywall, the internal thermal insulation of the roofs can be done. 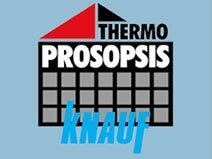 The Knauf InTherm panel is made of waterproof gypsum board (H2) and EPS 80 expanded graphite polystyrene plate. 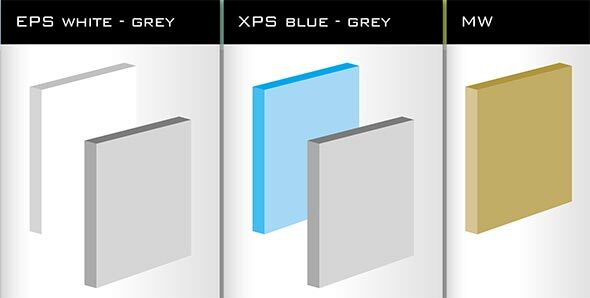 It achieves superior thermal insulation performance placed internally on external walls. 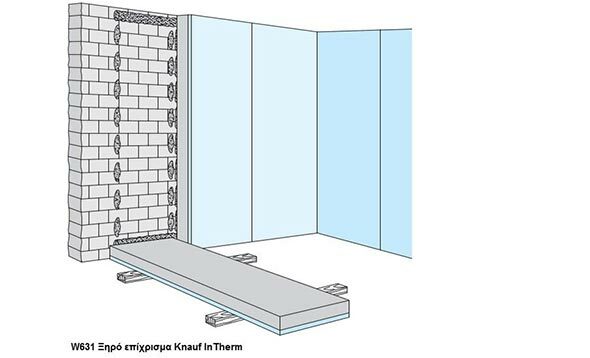 With the interior lining of a Knauf AluTherm plasterboard with an aluminum foil barrier and an Ecose mineral wool installation, excellent thermal insulation is achieved. 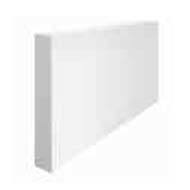 Knauf AluTherm plasterboard protects the not insulated wall from internal condensation moisture. The roof shall be constructed so as to protect (insulate) from the effects of physical, chemical and mechanical stresses. This protection results from waterproofing and thermal insulation. This waterproofing-thermal insulation is two-way with the concept of coexistence, and as is perceived, of vital importance for the construction. Extruded polystyrene solved the problem of thermal insulation in environments with a high humidity index or presence of water. 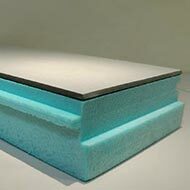 FIBRANxps extruded polystyrene boards with their closed-cell structure are excellent for insulation of environments with high humidity (inverted roofs, basements, indoor swimming pools, façades, etc.). Thermal insulation of inverted flat roof. FIBRANxps TL consists of extruded polystyrene sheet ETICS BT / 300(rough surface with channels) and white cement mortar 20 mm thick. They are applied to all types of building structures, even in wet environments and in cases where large compressive or tensile loads occur. FIBRANstar is a composite product which consists of a board of extruded polystyrene. 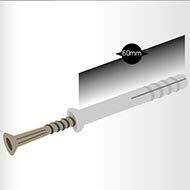 FIBRANxps in different thicknesses and ceramic tiles thickness 10mm. 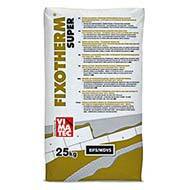 Suitable for thermal protection in the systems of inverted flat roofs. 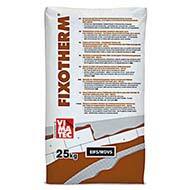 Suggested applications: Thermal protection in the systems of old & new flat roofs.